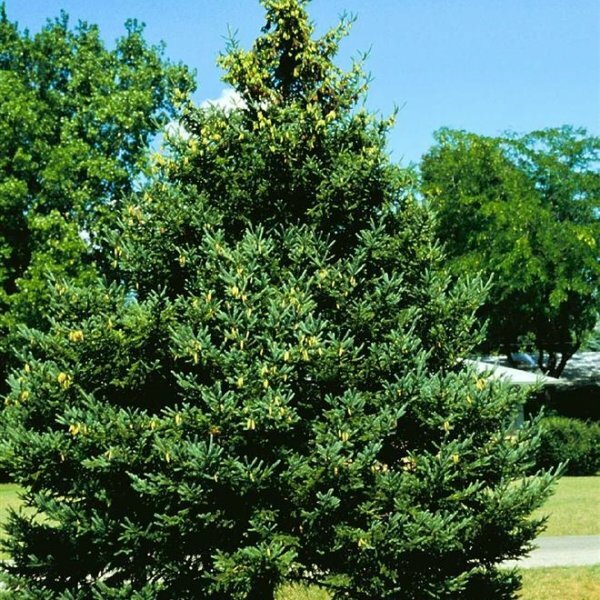 White spruce is a tall evergreen conifer native to the northern United States and Canada. 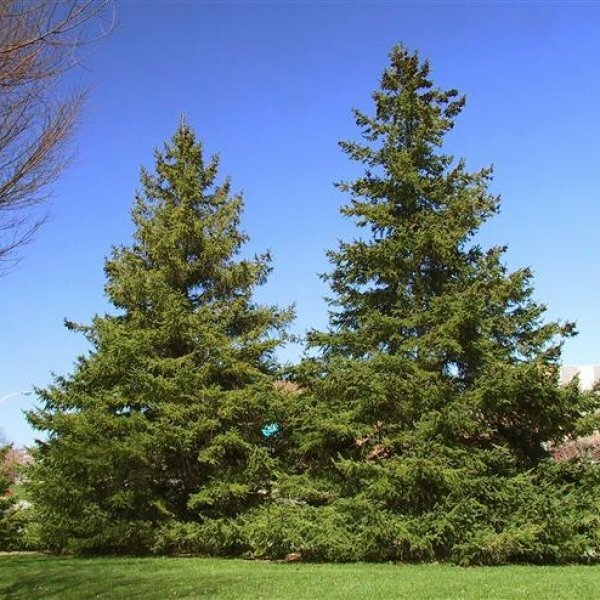 Broadly pyramidal when young, it becomes more columnar with age. Its cones are relatively small. 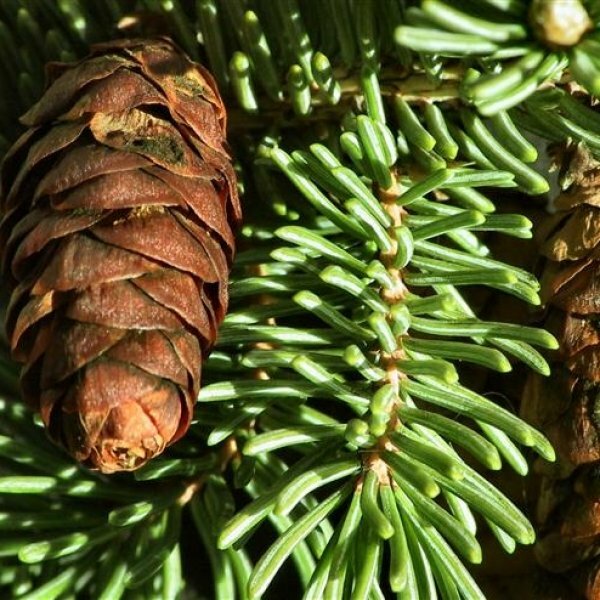 Crushed needles emit a pungent, skunky smell. 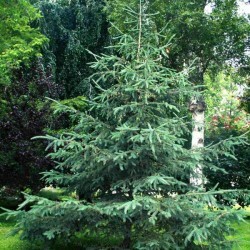 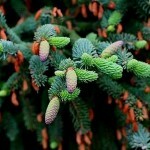 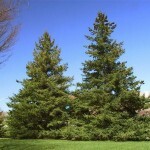 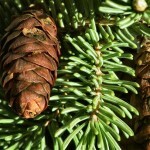 Many cultivars of white spruce are available, including those with smaller mature sizes or dwarfed and weeping habits.